. . . . . . When you have Only One Opportunity To Do It Right! From police evidence to scientific sampling there is one irrefutable fact in any protocol - the initial security of the sample and subsequent chain of custody can have ramifications for years into the future. In fact the validity of the conclusions drawn from the sample may be tested against the very security method used to control the sample. When sample integrity is paramount, select the Alert Evidence & Chain of Custody Bag. 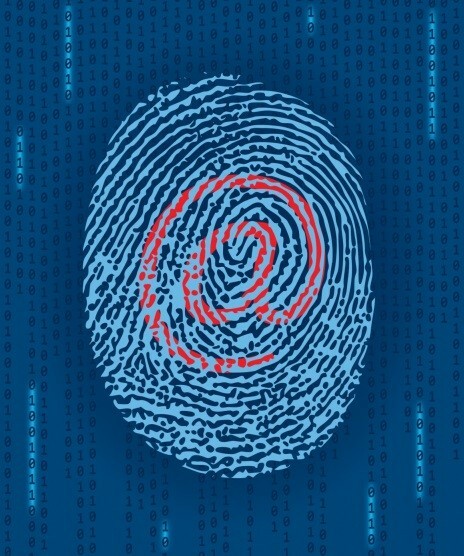 Alert products are designed with the state of the art technology for tamper evidence and tracking. Features range from sequential serial numbering of the bags including bar codes to the unique Alert Continuous Security roll package which maintains the serial numbers of each Alert Security Bag in numerical order - a valuable tool for coordinating and maintaining multiple samples in order of collection. 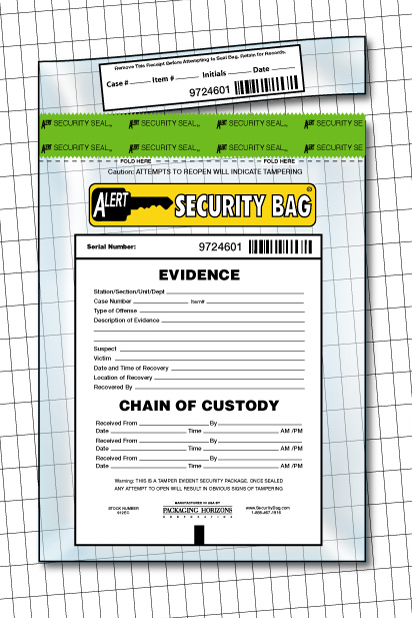 The maximum security, "ALERT/VOID" indicating tape closure system is also an integral security feature of the Alert Evidence & Chain of Custody Bag. For details on the security features of the Alert Evidence & Chain of Custody Bag click the bag to the right. Recording sample or evidence information must be detailed and precise. And, of course, the chain of custody is critical to the integrity of the sample. 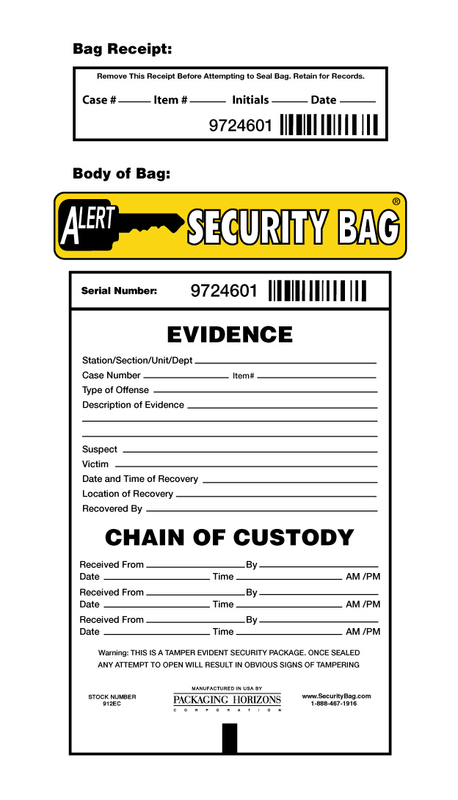 The information block on the Alert Evidence & Chain of Custody Bag is specifically designed to prompt the user with questions about the sample collection environment and provide for the subsequent chain of custody sign offs. Click the image to the right to view the details of the information block. Alert Evidence & Chain of Custody Security Bags are used by police and forensic organizations at the municipal, state and federal government level well as private organizations such as college, university and business security departments. Your choice of an evidence and chain of custody bag is a critical decision in the integrity of your sampling protocol. Samples of the Alert Evidence & Chain of Custody Bag are available free of charge for your evaluation. For your convenience, purchase directly with the following order form. The most popular sizes and styles are listed. These items are in stock and available for immediate shipment. Simply enter your order quantity, click “Add Products to Basket” located on the bottom of the form and you will be transferred to the shopping cart for final order processing. Please note that all of our products (including any custom items) are only accessible in the shopping cart. To view all products, please click on this link and login. If you have not registered, the shopping cart will provide you with the opportunity to establish a user account.